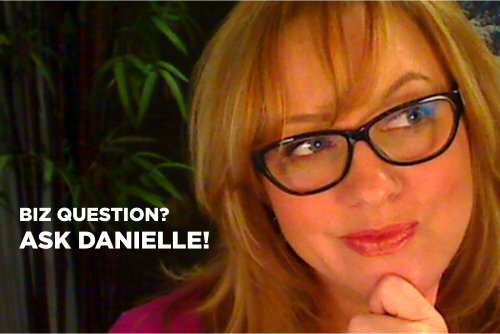 Dear Danielle: May I Use Your Content? You are exactly correct. My words are there for your eyes only, to instruct and provide examples to help get your own creative juices going. They can’t be used on your website, marketing collateral, etc. Doing your own work is part of the learning process. It’s what helps you gain that deeper understanding about the concepts and ideas I teach and try to impart. That said, there’s a certain sensibility that has to be applied individually to each product. For example, you don’t have to rewrite the contracts. They are provided for you to enter your own info and details in the blanks and adapt/adjust as you see fit for use with your own clients. With regard to the business plan (as an example), no one else is likely to see your business plan except you. Which is the most important thing because its first and foremost value is that the exercise of completing a business plan gets you to think through everything more thoroughly and gain clarity and direction in all aspects of your business. So as you read through it, you might have changes you want to make to it for your own personal path in your business. And if not, that’s okay, too. Because really, the only person it’s for and who is ever going to see it is you. Rarely do people ever use it to try to secure funding (these aren’t the type of businesses that get “funded”). What would NOT be okay is if you shared the business plan with colleagues and others. 1 Comment Posted in Copyright and Trademark, Intellectual Property, Legal. Bookmark the permalink.